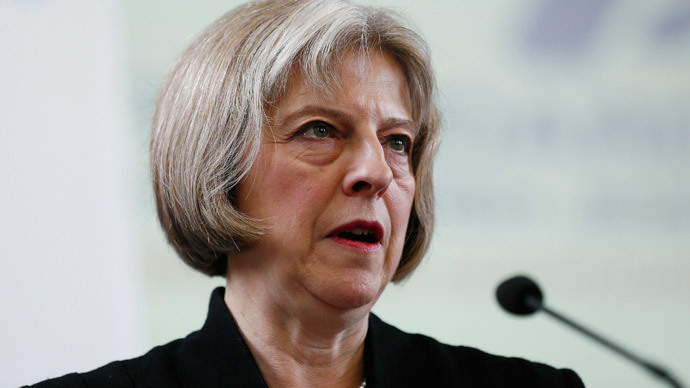 Home Secretary Theresa May has been accused by the Foreign Office of blocking attempts to reopen the British embassy in Iran because of her refusal to back down on immigration. May could undermine negotiations to rebuild political relations with Iran, a senior government source told the Times. “The Home Office refuses to open a visa service while undocumented Iranians remain in Britain. It’s definitely holding things up,” a Foreign Office official told the Times. A government source revealed that there was “a lot of frustration” within the department over May’s interference. Full diplomatic relations with Iran were suspended, all UK diplomatic staff was withdrawn from Iran and the embassy was closed after hundreds of Iranian demonstrators stormed the building in November 2011. In June 2014, William Hague announced plans for the UK embassy to be reopened in Iran’s capital Tehran. Hague announced then that the UK embassy would re-open "as soon as practical arrangements are made" as a sign of "increasing confidence" in the state of relations between the UK and Iran. "Iran is an important country in a volatile region, and maintaining embassies around the world, even under difficult conditions, is a central pillar of the UK's global diplomatic approach,” the foreign secretary said. Since then, staff at the Foreign Office have been negotiating restoring ties with Tehran, due to the fact that the election of the new Iranian president Hassan Rouhani marked an apparent shift in Iran’s foreign politics. However, Rouhani, who was elected in 2013, is caught up in a power struggle with groups who oppose his policy of rapprochement with the West. May is accused of delaying the process of reopening the embassy by refusing to reinstate a visa office at the embassy until 4,000 Iranians are deported from Britain, including asylum seekers and residents whose visas have expired. The Iranian regime is reportedly refusing to take those Iranians back. Tens of thousands of Iranian asylum seekers are believed to be in Britain, but the 4,000 identified for deportation have run out of appeal options. Most are thought to be in detention and can be returned to Iran if Tehran recognizes them as citizens. The US broke off diplomatic relations with Iran in 1980 after revolutionary students stormed the embassy in Tehran on November 4, 1979, and held 52 of its US embassy staff hostage for 444 days. In October last year, reports emerged that the US government and Iran, engaged in nuclear negotiations and sharing a common goal of curbing the growing advance of Islamic State militants, have moved into détente.